The 2018 Tax Law – What does it say about Equipment Depreciation? To better understand the changes, here is a summary of the rules prior to 2018, and a clarification of terms. Depreciation is the reduction in the value of an asset over time, particularly due to wear and tear. When you pay an employee, that gets written off when you pay them, whereas when you purchase equipment or other capital assets, those are required to be capitalized and written off over a period of time. In the past trucks got the benefit of accelerated depreciation over a 3 year period. Trailers were depreciated over a 5 year period. For new or used trucks or trailers, an owner had the option to depreciate a greater portion, or even all of the asset in the year the asset was put in service using what is called Section 179 depreciation. Section 179 depreciation was limited to $500,000, and was phased out for tax payers who purchased more than 2 million dollars of qualifying assets. Bonus depreciation was also available for new assets. This was separate from Section 179. It would allow a 50% upfront depreciation write off for qualifying new assets, with no limits to the deduction. Tax payers could structure Section 179 and bonus depreciation and have them work together to fit their particular tax planning strategies. Section 179 limits are increased from $500,000 to $1,000,000, with the phase out of total qualifying equipment purchases increasing to $2.5 million. Bonus depreciation is now increased to 100% of the cost of the asset instead of 50%. Bonus depreciation is also expanded to now include used property. But many of our trucking clients who routinely rotate out equipment often choose not to use Section 179 or bonus. Why? If I am an owner-operator who just bought a new truck, I could write it off and possibly bring my tax bill down to zero. However, next year, when I don’t need a new truck, I’ll have zero depreciation to use and I’m going to be stuck with a big tax bill that I wasn’t setting aside money for. Section 179 and bonus depreciation were put in place partly to encourage economic growth. Often times, a tax payer will determine they’ve had a good year and won’t want to pay as much tax as projected. So, they’ll look at buying a new truck or trailer in order to get another write off. We’ll often have clients asking us if they should buy new equipment at the end of the year. We won’t recommend purchasing equipment just to save on taxes. But if you need the equipment for your business and are planning on buying it soon anyway, then squeaking it in before the end of the year might be recommended. However, buying a new truck will always cost more than paying the tax you owe. How Might the use of Section 179 and Bonus Depreciation Change in 2018? 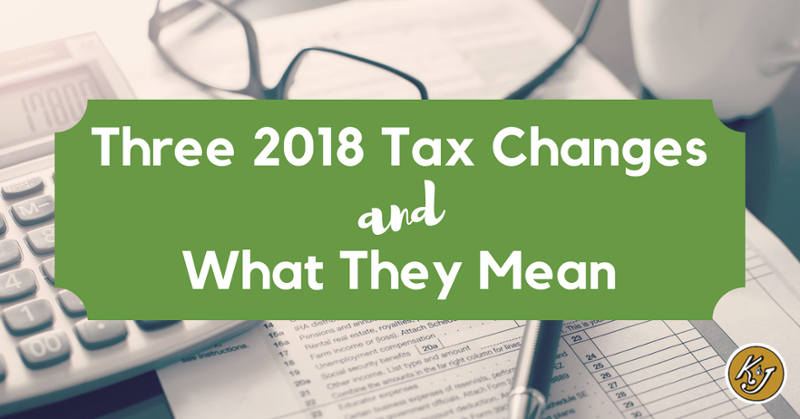 One of the often-overlooked areas of the new tax law is the fact that the favorable treatment of like-kind exchanges for equipment has gone away. In the past, you could trade in an asset and not recognize the gain on the amount that was received for trade in. That is no longer the case. Joe could trade in a fully depreciated trailer and purchase a new one without recognizing any income. Say his new trailer was valued and $80,000 and he got $30,000 trade in value for his old trailer; he would not record any income for the sale of his old trailer, but would only have $50,000 of basis to depreciate on his new trailer. Essentially, the gain he received on the trade was deferred by reducing the cost basis of the new trailer. Joe is no longer allowed to defer his gain. The tax law will require Joe to recognize a gain of $30,000 on the sale of the old trailer, and Joe will record the full amount of $80,000 for the tax basis of the new trailer. While Joe has more tax basis to depreciate, he may decide that he wants to use some section 179 or bonus to offset the gain on the sale. Because of the change in exchange rules, we anticipate more clients making use of some of these write off options. In reality all of these changes are part of a much needed effort to simplify the tax code, which should be a good thing in the long run. But this is a good reminder to find a reliable tax accountant that is familiar with the trucking industry to help you do some future-casting and planning. We hope this gives you a better understanding of some of the changes that will affect truck depreciation in 2018 and beyond. If you have additional questions, please leave them in the comments below and we will do our best to address them in a future blog.